Innovative medical device, treatment in pain therapy, chronic inflammation, poor peripheral circulation, wound healing, oncological hyperthermia. 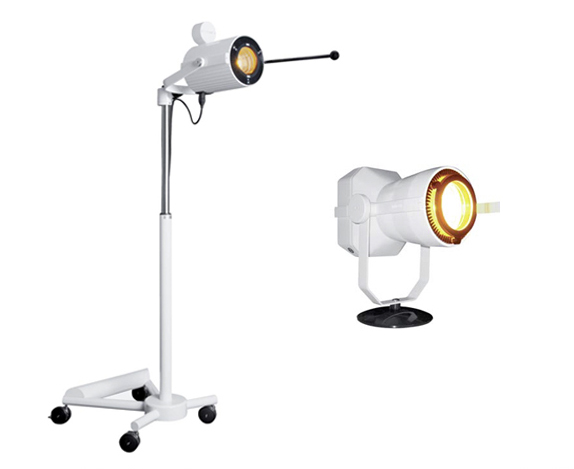 The water-filtered infrared-A-radiation (wIRA) Irradiator allows a locoregional heating of human tissue with a high penetration depth and intensity. The unique principle of operation involves the use of a hermetically sealed water filter in the radiation path to absorb those infrared wavelengths which would otherwise harm the skin. This absorption results of the activation of the OH-groups at 940, 1180, and 1380 nanometers. Hence, with the higher radiation intensity, therapeutic heating of deeper tissue layers over longer periods of time can be achieved.